The year 1914 has become synonymous with the start of World War One for obvious reasons, but what happened in the seven months before the guns started firing? This is the question that Mark Bostridge answers in his brilliant book The Fateful Year: England 1914. The best way I can think of to describe the book is as a biography of the year. Rather than tracing the history in an in-depth manner Bostridge picks people and events from 1914 and then writes their story, cleverly interlinking them as he goes. We learn about an unsolved railway murder, the militant suffragettes, early aviation pioneers and the love life of the Prime Minister. Each topic, and there are more than I list here, is described in enough detail that the causes and consequences are given but not so deeply that the book becomes stodgy. Bostridge also gives lots of references so that further research on any of the stories is easy. The second half of the book is given over to the war, but even here quirky stories are used to illustrate life both at home and in France. I’ve read a lot about this topic and I still hadn’t heard many of the war tales given here. 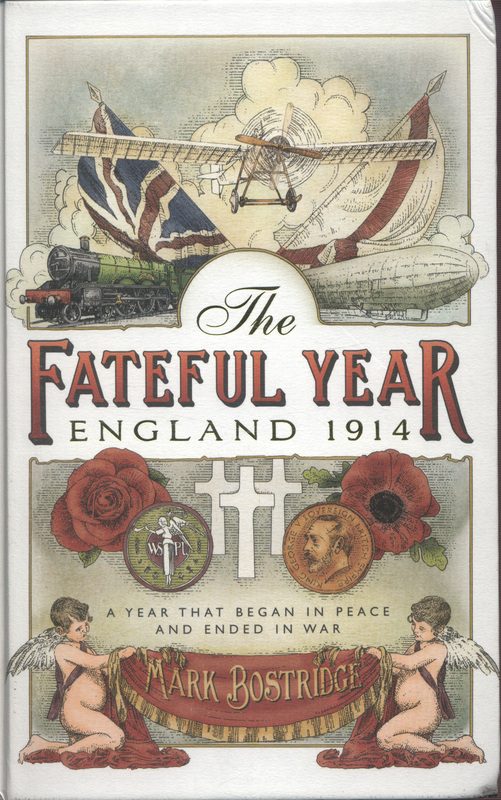 I’m sure that in the next four or five years there are going to be many, many new books – fact and fiction – published about the First World War but I doubt that many of them will be as accessible and interesting as this. Don’t get me wrong the horror of the war is certainly portrayed but learning so much about England just before the start gave me a new context in which to think about it. Reserve your copy from the library here. This entry was posted in Book, film, televsion and film reviews and tagged Book review, Non Fiction, WW1. Bookmark the permalink.